On February 17, 1910, Hunnicutt was born in Gravelly, Arkansas. He attended the University of Central Arkansas and Arkansas State Teachers College but dropped out when he ran out of money. Hunnicutt gained early acting experience in stock theater and entertained in traveling shows. An article in the September 22, 1940, issue of the Brooklyn Daily Eagle reported, "There isn't a decent sized medicine show traveling through Kentucky, Illinois, Georgia, Indiana or Mississippi, nor a stock company touring those states, which hasn't had the name of Arthur Hunnicutt on its programs." After eight years of such activity, in 1936 he enrolled in a drama school in Cleveland to study theatrical techniques for a year. He moved to Martha's Vineyard, Massachusetts, where he joined up with a theatre company. Moving to New York City, he worked in the laundry at the Algonquin Hotel for 17 months before landing roles in Broadway productions. While touring as the lead actor in Tobacco Road, he developed the country character he would later be typecast as throughout his career. Hunnicutt often found himself cast as a character much older than himself. 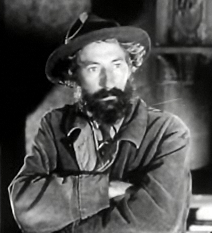 Hunnicutt's first film was Wildcat (1942). He appeared in a number of films in the early 1940s before returning to the stage. In 1949 he moved back to Hollywood and resumed his film career. He played a long string of supporting role characters—sympathetic, wise rural types, as in The Red Badge of Courage (1951), The Lusty Men (1952),The Kettles in the Ozarks (1955), The Last Command (1955, as Davy Crockett), The Tall T (1957), Cat Ballou (1965, as Butch Cassidy), El Dorado (1966) and The Adventures of Bullwhip Griffin. In 1952, he was nominated for an Academy Award for Best Supporting Actor in the Howard Hawks film The Big Sky. Throughout the '50s, '60s and '70s, Hunnicutt made nearly 40 guest appearances on American television programs. He made two memorable appearances on Perry Mason in 1963: he played orange grower Amos Kennesaw Mountain Keller in "The Case of the Golden Oranges," and prospector Sandy Bowen in "The Case of the Drowsy Mosquito." He also made guest appearances on Bonanza, Cheyenne, Gunsmoke, The Outer Limits, The Rifleman, Wanted: Dead or Alive, The Andy Griffith Show, The Wild Wild West, Adam-12, and The Twilight Zone. In one of his last movies, Moonrunners (1975)—the precursor to The Dukes of Hazzard—he played the original Uncle Jesse. On September 27, 1979, Hunnicutt died of cancer at the Motion Picture & Television Country House and Hospital at age 69. He was buried in the Coop Prairie Cemetery in Mansfield, Arkansas. ^ a b Ware, Hames. "Arthur Lee Hunnicutt (1910–1979)". The Encyclopedia of Arkansas History & Culture. Archived from the original on 2 July 2017. Retrieved 2 July 2017. ^ a b c "Hunnicutt Has a Good Job". The Brooklyn Daily Eagle. New York, Brooklyn. September 22, 1940. p. 46. Retrieved July 2, 2017 – via Newspapers.com. ^ Bridges, Ken (March 5, 2017). "Actor, Arkansas Native Arthur Hunnicutt". El Dorado News-Times. Retrieved 2 July 2017. ^ "Arthur Hunnicutt dies of cancer at 68". The San Bernardino County Sun. The San Bernardino County Sun. Associated Press. September 27, 1979. p. 8. Retrieved July 3, 2017 – via Newspapers.com. This page is based on the Wikipedia article Arthur Hunnicutt; it is used under the Creative Commons Attribution-ShareAlike 3.0 Unported License (CC-BY-SA). You may redistribute it, verbatim or modified, providing that you comply with the terms of the CC-BY-SA.